Badr al-Din Lu’lu’, a former military slave (Mamluk) was an Armenian who lived in the 12th and 13th century AD and ruled from Mosul (Iraq) for half a century. He was the first Mamluk to transcend servitude and become sultan in his own right. Badr al-Din Lu’lu’, manuscript illustration from the Kitāb al-Aghānī of Abu al-Faraj al-Isfahani (Feyzullah Library No. 1566, Istanbul). As a Mamluk he served the Zengid dynasty (an Islamic dynasty of Oghuz Turk origin). In particular he was in the service of Nur ad-Din Arslan Shah I, also known as Arslan Shah, Emir of Mosul between 1193–1211. Coin of Arslan Shah, mint of Mossul, depicting a classical portrait, 1197. British Museum. As a Mamluk, Badr al-Din Lu’lu’ was a converted Muslim, who was recognized for his abilities as an administrator, and was able to rise to the rank of atabeg (hereditary title of nobility of a Turkic origin) and, after 1211, served as regent until the death of the last Zengid, Nasir al-Din Mahmud in 1233. Badr al-Din Lu’lu’ took over the power from Nasir al-Din Mahmud as he had been an absolute ruler in the region of Mosul before and was thus de facto the ruler of the Zengid realm. 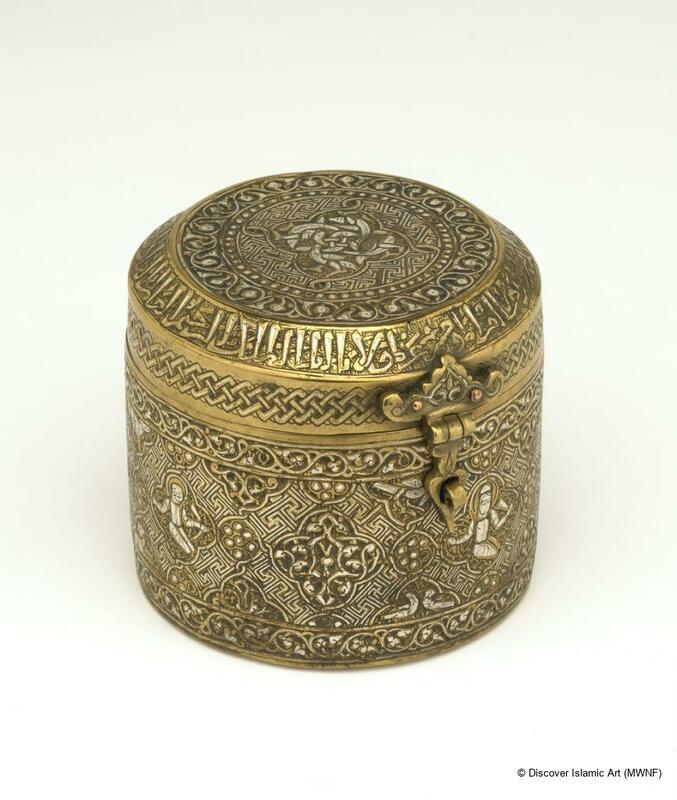 Brass box of Badr al-din Lu’lu’. Mosul was renowned for its metalwork industry in the early AH 7th / AD 13th century. This brass box, inlaid with silver, is particularly interesting as it is inscribed with the name Badr al-din Lu’lu’, who was ruler of Mosul and a keen patron of inlaid metalwork. Lu’lu’s dominion was threatened by his rival Kukburi of Irbil and there was also an alarming presence of Mongolians in the north east. Kukburi died in 1233 and Lu’lu’ took over the throne of his rival. On the other hand, there was also the case of the young atabeg Nasir al-Din Mahmud, who was the legitimate ruler of Mosul. In mysterious circumstances, somehow the young atabeg vanished, as some historians believe he was killed by Lu’lu’ because he represented a threat to his rule as Sultan. Lu’lu’ then demanded of the Calif that he acknowledges him as ruler of Mosul. In 1234 a representative of the Calif installed Lu’lu’ as Sultan of Mosul bestowing upon him the title of al-Malik al-Rahim (the merciful king) and the privileges of khutba and sikka. In 1234 the first coin was struck. After that only coins without a legend would be struck. Coin of Badr Al-Din Lu’lu, Mosul. 1234-1259 CE. Harvard Art Museums/Arthur M. Sackler Museum. His coinage is important for establishing the diplomatic history of the Jazira during the mid-13th century, a time when the region was contested by the Ayyubids, the Seljuqs of Rûm, and the Mongols. Badr al-Din Lu’lu’ is perhaps best remembered as the patron of the influential historian Ali ibn al-Athir and for a collection of minor arts which demonstrate the high level of cultural and artistic attainment in 13th century Mosul. He died in 1259. Tray of Badr al-Din Lu’lu’. Mid-13th century. Islamic art and architecture 650-1250 By Richard Ettinghausen, Oleg Grabar, Marilyn Jenkins , pg, 134. Künker Auktion 137 – The De Wit Collection of Medieval Coins. Politics, Patronage and the Transmission of Knowledge in 13th – 15th Century Tarbiz. Saladin in Egypt by Yaacov Lēv. God and Sheikh Adi are Perfect: Sacred Poems and Religious Narratives from Yezidi tradition. 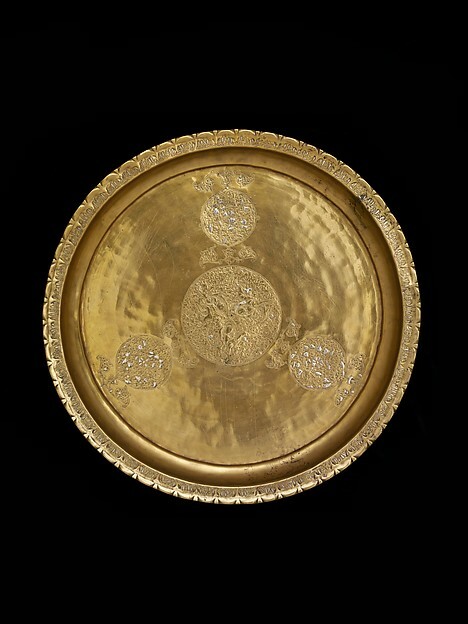 Court and Cosmos: The Great Age of the Seljuqs.